Something unusual happened when the OnePlus 6T was formally unveiled in late October, and we’re not (just) talking about the company’s official US distribution deal with T-Mobile. 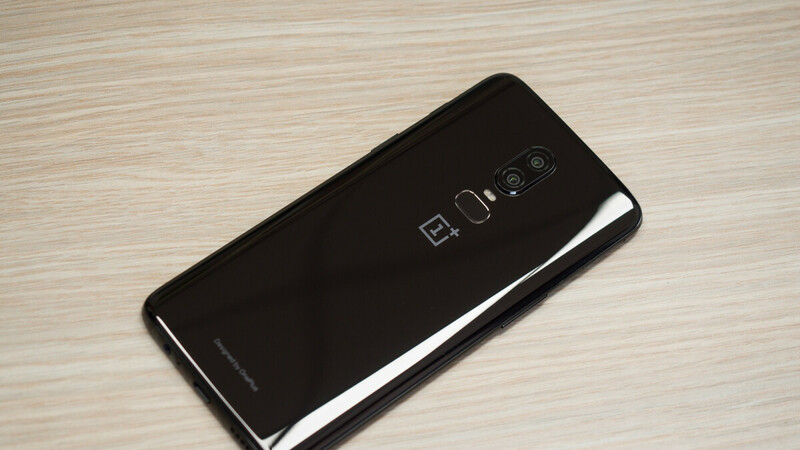 Somewhat surprisingly, the OnePlus 6 stuck around, unlike the OnePlus 5 and OnePlus 3, which were both discontinued immediately after their sequels saw daylight. Even better, the May 2018-released “flagship killer” was marked down for Black Friday, and the $100 discount also stuck. But because all good things must eventually come to an end, the official OnePlus website is currently advertising the deal as your “last chance to save $100 on a OnePlus 6.” There’s still no actual expiration date listed anywhere in sight, and the message could simply be a clever way of garnering attention before the New Year, but something tells us once existing inventory runs out, the extremely well-reviewed OnePlus 6 will be gone for good. There are only two variants available stateside at the time of this writing, including a $529 Midnight Black flavor with 8GB RAM and 256 gigs of internal storage space that needs a whopping 12 days to ship, suggesting either strong demand or low inventory. Or both. On the bright side, the $479 Mirror Black version packing 8 gigs of RAM and 128GB digital hoarding room is back in stock, shipping within 3 days of new orders. Keep in mind that OnePlus has already pulled the plug on sales of its second-best phone in practically every region apart from the US and Canada to focus on the pricier 6T and hot new 6T McLaren Edition. It’s also worth highlighting that the OnePlus 6 and 6T are not very different, as the latter marginally upgraded the former’s battery capacity while adopting a subtler notch and modern in-display fingerprint recognition method. Then again, the OnePlus 6T has no headphone jack. Oneplus honestly is just an Avg phone . Not liking my Op6T at all .. The camera is the only thing that's average about the OP phone. Their greatest feature is the relatively bug free and smooth Oxygen OS (being close to stock Android only helps), and the fastest processor/highest RAM in the market. I think the 6 is better than 6T. Notification LED, 3.5 jack, fast proven fp scanner. Other than the 6T missing all those, they’re otherwise the same internally. My wife wouldn’t hear it though, she fell for the in screen fp gimmick. I watched her try to unlock the phone the other day. It rejected the first couple times. She wiped her finger, only to be rejected again. Ended up needing to put in the PIN. Same. I just picked up a 6 and am waiting for it to arrive. The biggest reason for me to skip the 6t was I'm pretty sure I'd be incredibly frustrated with the in screen reader. The in screen fps is a big fail !